The Cloud Server simplifies the complex task of publishing live or recorded video streams in multiple formats to the web and mobile devices. Quick to set up and simple to operate with intuitive on-screen monitoring and control. No technical experience necessary. Reach new audiences and increase viewer engagement by broadcasting high quality video to multiple video platforms and content distribution networks. 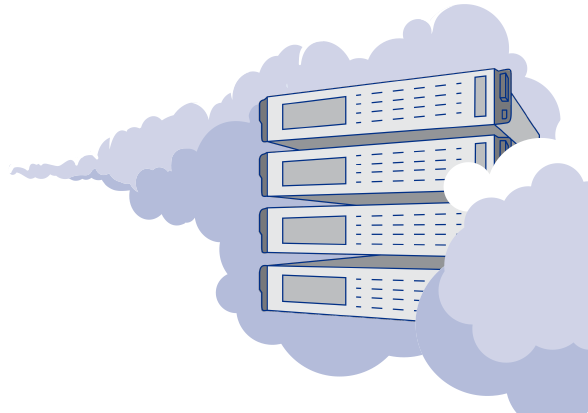 Leveraging cloud infrastructure allows you to meet your needs today with room to grow for tomorrow. Whether you need it monthly, annually, or for a one-time special event, there’s different pricing plans for that. Greatly enrich the fan experience with video content such as press conferences, training camps, interviews with coaching staff and players, bus rides, practices, and game-day fan interaction. Stream college, high-school, local, and amateur sporting events to the web and mobile devices. Broadcast live events, from keynote speeches, press conferences, and music festivals to awards shows, dance competitions, and outdoor performances. Stream elections, community events, council meetings, speeches, and other public interest matters. Stream campus events, guest lectures, and sports to students, families, and alumni. From all-hands meetings and keynote speeches to product launch events and executive meetings, businesses can stream live content to their globally dispersed audiences. Simultaneously output three RTMP streams at different preset video resolutions and audio bitrates from a single live feed or Store & Forward clip. Easily integrates with your broadcast and online streaming workflow. Includes cloud storage location for recorded clips and other files, retrievable via Secure FTP. Monthly, annual, and large-scale special event pricing available. Stream high quality video content to Facebook Live, YouTube Live, and other online video platforms. Geolocate field units, preview feeds, route content, and monitor usage and performance using our cloud management system. Looking for a printable copy of the Dejero Cloud Server product brief? Need help building the right solution for your video contribution needs? Start the conversation today with one of our sales representatives.